Dreams can be fascinating, exciting, terrifying or just plain weird. Learn more about some of the things that researchers have discovered in this list of interesting and fun facts about dreams. Human beings spend roughly around 6 years of their lifetime dreaming. Sometimes we dream outside of our REM sleep (Rapid Eye Movement). Thousands of years ago, the Egyptians were the first to create a dream dictionary in 4000 B.C.E. We roughly spend around 1/3 of our lives sleeping. People who suffer from a personality disorder lack dream activity. Our brains tend to be way more active when we sleep, than when we’re awake. Humans tend to have around 3 to 7 dreams a night. We dream around 2 to 3 hours in a whole night. 90% of the dream is lost the first minute we wake up. Men tend to dream about men more than women, and women dream about people of both genders. Drug withdrawal can cause more intense dreams. People who also quit alcohol and smoking experience heavier dreams and nightmares. You can lucid dream for up to 30 minutes if trained properly. It’s impossible to dream when you’re snoring. Babies don’t dream of themselves until they reach the age of 3. More women than men experience deja-vu in their dreams. Nightmares happen more to kids than adults. Blind people dream. Their dreams are auditory if they were born blind. If they became blind at an early age, they still dream of what they remember. Did you know around 100 000 drivers a year crash going in and out of sleep in their cars. Thousands of people suffer from sleep apnea in America. Men get erections in their REM sleep and women have an increased blood flow to their vaginas. You can translate over 5000 dream symbols. The word “Nightmare” was used a long time ago for a female spirit who besets people at night while sleeping. On average, dogs sleep around 10 to 13 hours a day. The colder your house is, the worse your dreams are. They say that if your room is at an average temperature, you have better sleeps. Your body burns more calories sleeping than it does in the day time. Information that we learn before we go to bed tends to stick with us longer than information any other time. On average, cats sleep 10 to 15 hours a day. If you avoid your sleep for more than 10 days, you will die. A giraffe sleeps for only 2 hours a day. Most dreams are based on visual images (Except in people who were either born blind, or who lost their sight at an early age). Occasionally, dreams will include sound and touch. The normal rules of logic do not apply in dreams. For example, the dream may be taking place in one location – then, abruptly, the dreamer is translocated to a completely different place. Most dreams occur in a house – but this is usually not your own home. The most frequently reported room is the living room. People rarely dream about their work place or school. The most frequent scenario is the dreamer plus two other people. Famous people seldom appear in our dreams. The vast majority of people dream about people who are significant to them, especially if there is an ongoing conflict. Mundane activities (such as brushing your teeth) rarely appear in dreams. 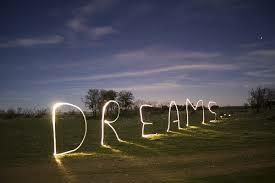 Dreams tend not to be happy events, and the three most common reported emotions are anger, sadness and fear. Some themes are so common that they are reported the world over. These universal themes include the loss of a tooth, falling or flying, exhibition, arriving late for exams or other important events, and being chased or attacked. Cross-cultural research indicates that our dreams reflect normal life events in our own country and culture. There appear to be some differences in the content of dreams between the two sexes. Specifically, women are more likely to dream about their children, family or household activities; men are more likely to dream about strangers, violence, sexual activity, achievement, and outdoor events.